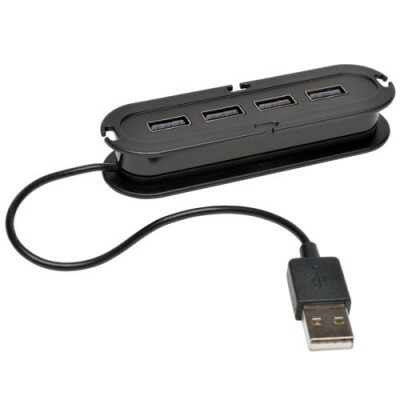 Tripp Lite U222-004 is an inexpensive way to expand the number of available computer USB ports. It's compact design with built-in cable is perfect for travel, fitting easily into a laptop bag pocket. Supports USB 2.0 data transfer rates up to 480 Mbps and is backward compatible with USB 1.1. Bus powered through the computers USB port...no external power required, but includes a Micro B port for an additional connection to the computer in case more power is needed.